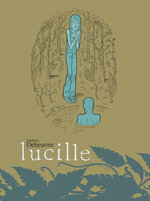 News / CHESTER 5000 & LUCILLE to debut at TCAF! On May 7-8, Ludovic Debeurme and Jess Fink will join us in Toronto for the Toronto Comics Art Festival, where we will debut both Lucille and Chester 5000. Ludovic and Jess are part of a killer Top Shelf lineup at TCAF, including Matt Kindt (Super Spy), Jeff Lemire (Essex County ), Kathryn & Stuart Immonen (Moving Pictures), Nate Powell (Swallow Me Whole), and Eric Skillman (Liar's Kiss, which made a big splash at its debut at MoCCA just a couple weeks ago).